I usually find this pair with the aid of a reflex finder. 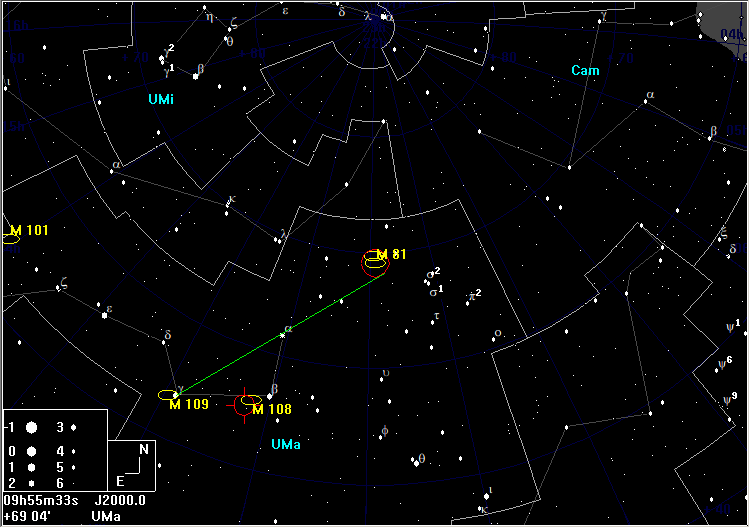 Extend a line from Phecda (γ UMa) through Dubhe (α UMa) the same distance beyond Dubhe. 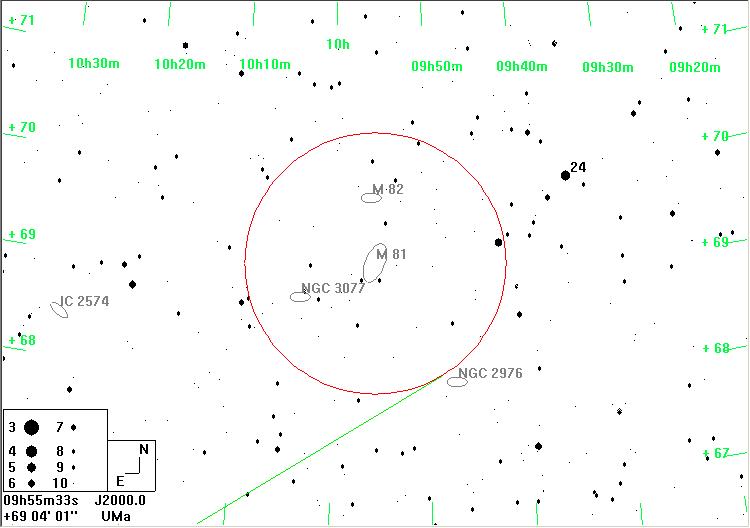 From this point, the galaxies are a degree or so in the direction of Polaris (α UMi) , adjacent to the 4.5th magnitude 24 UMa. This pair fits easily into a 2° field of view and offers a nice contrast. 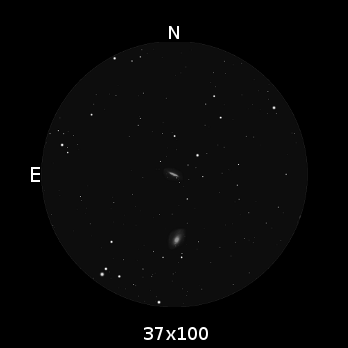 M81, also known as Bode’s Nebula is the easier of the pair in small binoculars, but both are easy objects at 37×100, with M81 clearly showing a very bright nucleus and M82 appearing bright but mottled along its long axis, giving rise to its common name: the Cigar Galaxy. Their difference in orientation is obvious.